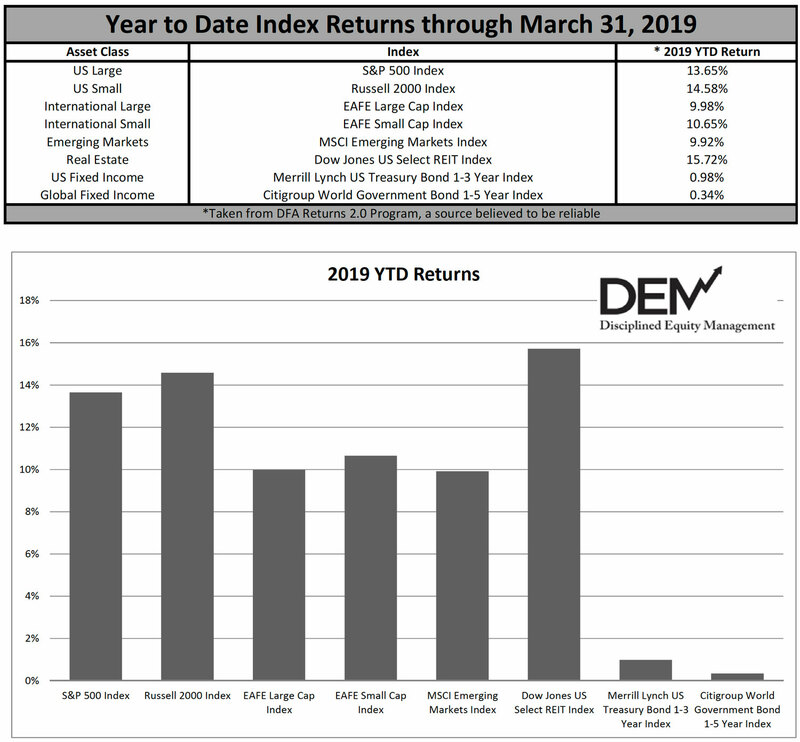 DFA Global Equity Fund (DGEIX) performance is shown as a proxy for globally diversified equity portfolios tilted toward small cap, value, and profitability factors. It does not represent any actual DEM client account, DEM strategy or DEM composite performance results. This illustration is intended to show how a long-term low-cost globally diversified investment approach performs through market cycles. Performance is reported net of internal fund expenses and includes reinvestment of dividends and other earnings. Returns do not include the deduction of DEM’s advisory fee or transaction costs associated with the purchase or sale of the fund. Performance data shown represents past performance and is not a guarantee of future results. Future performance may be higher or lower than the performance shown. The investment return and principal value of an investment will fluctuate so that an investor’s shares, when redeemed, may be worth more or less than their original cost. 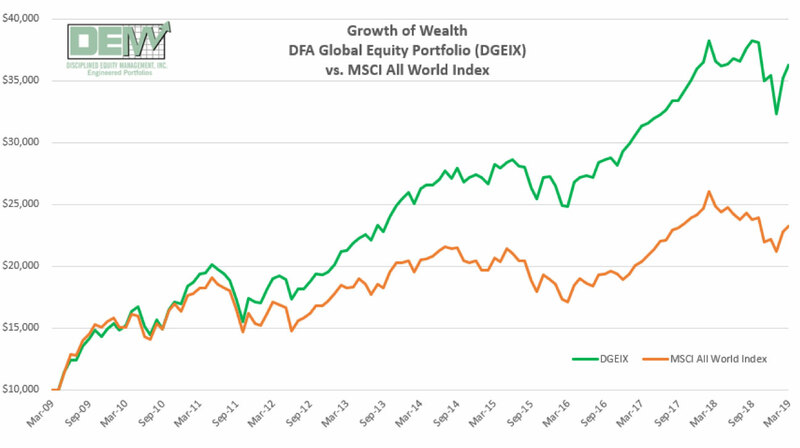 Additional information about DGEIX, including performance, portfolio characteristics, risks and other disclosures, can be found at https://us.dimensional.com/funds/global-equity.